I think that foundation is my favourite part of my makeup routine, it's the thing that I invest the most money in and if my foundation isn't right then I might as well not wear anything else on my face. I don't think that my skin is particularly bad but for some reason I don't feel confident if I don't wear a medium to full coverage foundation. 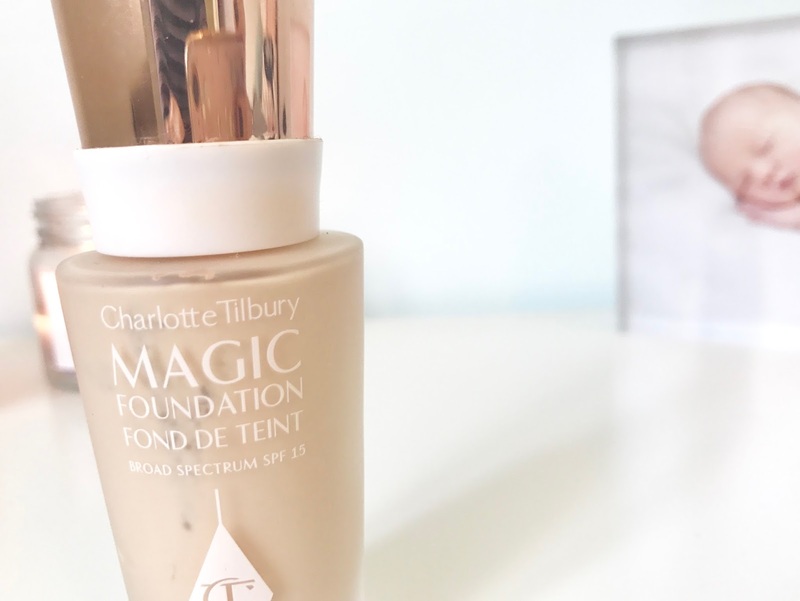 I like my complexion to look as flawless as possible and so I spent months desperate to try the Charlotte Tilbury Magic Foundation. As I said previously, I invest more money in my foundation than anything else - so nothing annoys me more than ordering online and getting the wrong shade. I also want the experience of buying a High End Foundation rather than just placing an order online and hoping for the best. So when I was invited to London one day last year, I decided to go the whole hog and had a Charlotte Tilbury makeover. The experience was lovely, and if you're planning on spending £35 or more in store then I'd highly recommend you purchase on as the cost is redeemable against any purchased you make and you get to try out so many more products at the same time. The foundation itself definitely lived up to expectations - I've actually used it all up now and even scraped the inside out to get every last drop. It's £32 which is on the higher end of foundation prices for me but definitely not the most I've ever paid. Plus the packaging is super luxurious - a frosted glass bottle and the gold lid just look beautiful on my dressing table. This lasted me a long time too, I promised myself that I'd save it for special occasions but quickly fell in love and nothing else seemed to compare. I've applied this with both a brush and a sponge and in my opinion the sponge performs better. 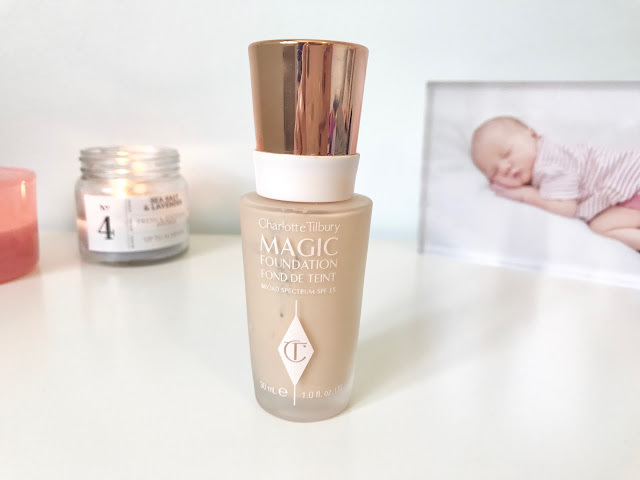 It creates a flawless base, it's not as dewy as I'd normally like but offers amazing coverage and I'm aware that you can't really have both! It's a medium to full coverage if you ask me, with the first application you can create a good base which still looks natural, paired with a light dusting of blush and a slick of mascara you can create the perfect "no makeup, makeup" look. I like my foundations to be versatile and so it's important that I can feel comfortable wearing it with or without the rest of my makeup on days where I'm running short of time. Another layer and it builds to give you a flawless base ready to contour, highlight and sculpt the living daylights out of. 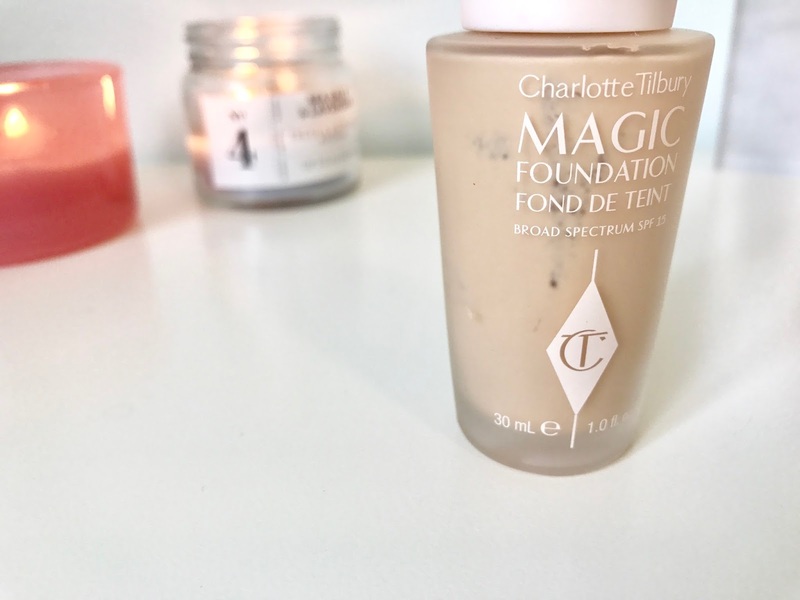 Would I repurchase this foundation? Most certainly I would! The reason that I haven't is I've started to fake tan religiously and so I'm unsure what colour I'd need now. I also live in the middle of nowhere and my nearest counter is well over an hour away - and as I've said before, I don't like to take chances on ordering foundation online. That being said the Charlotte Tilbury website does show the foundation on actual models and is really useful for selecting your shade if you're not as dubious as I am!